With more than 15 years experience and thousands of homes restored, we have the experience to handle your water damage emergency. Together, we can rebuild your property to your exact specifications after a disaster, turning a devastating event into a blessing in disguise and improving your quality of life over the long run. Valleywide Restoration is a local, trusted company, and provides commercial and residential roof repair and installation services. From emergency repairs to full replacement, we can help. We are a mitigation focused, full service restorer. We restore properties with skills and techniques acquired through onsite training, certifications, classrooms and years of experience restoring hundreds of losses. When reconstruction is necessary, we handle the entire job from start to finish, employing the highest level Standard of Care, restoring structures and contents to pre-loss condition and often better than pre-loss conditions. 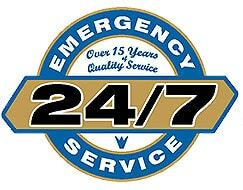 If your home or business has been damaged by water, fire, smoke, odors, or other issues – we can help! We specialize in every area of carpentry, from framing to finishing – restoring your property to “better than” it’s original state. Our roofing services provide you with 20-30 years of life expectancy over your head. Everything you need from start to finish. We are commited to providing great customer service, and will listen to you and your needs. Our goal is to exceed your expectations, every time. The pillars of our business are integrity and excellence in both work quality as well as customer service. We are licensed, bonded and insured. Our team of restoration will restore your home or business to its pre-loss condition, on time and within budget – Guaranteed! We provide transparency in estimates. We’ll also bridge the gap between you and your insurance company for a smooth process. When we arrive on site, we immediately start documenting and identifying the source or cause of loss, affected areas and locations. Using digital photographs, videos, Flir thermal imaging cameras, penetrating and non-penetrating moisture meters – we carefully diagnose the problem and provide you with a clear and comprehensive plan of action for restoring your property. Since 2000 Valleywide Restoration has restored homes in Arizona damaged by floods, plumbing breakage, storm damage, fire & smoke damage and more! Our team of restoration will restore your home or business to its pre-loss condition, on time and within budget – Guaranteed! After a recent water incident in our home, we interviewed several contractors and chose Valleywide Restoration. Bryan Lewis upheld every deadline and timeframe with wonderful results. We would recommend him and his team to anyone! Awesome job Bryan!!! Open communication, excellent service and employees where courteous and friendly. Your guys responded extremely well…everyone was prompt, professional, and clean…your guys have been excellent. Roof looks great. Stucco repair was perfect! Keep it up! A Lovely experience. Reliable, excellent quality of work, prompt and on time.